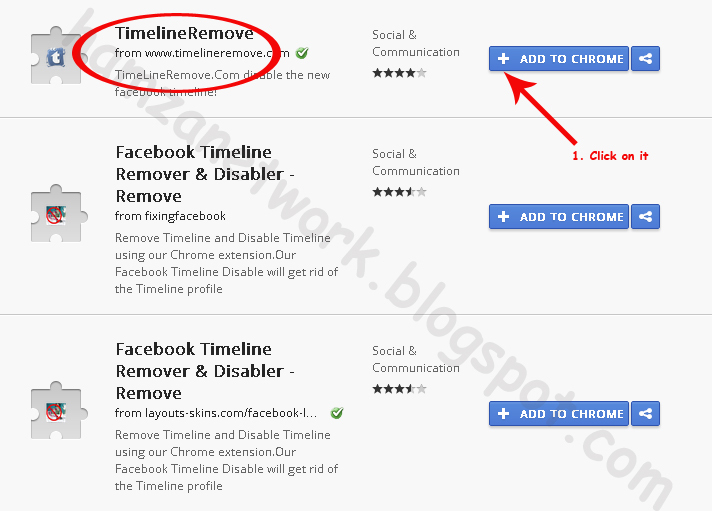 Do you know that how to remove facebook Timeline? 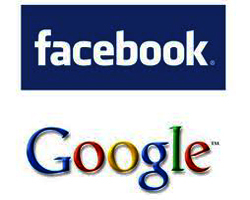 Many of us don,t know that how to remove facebook Timeline. So the answer is "No". 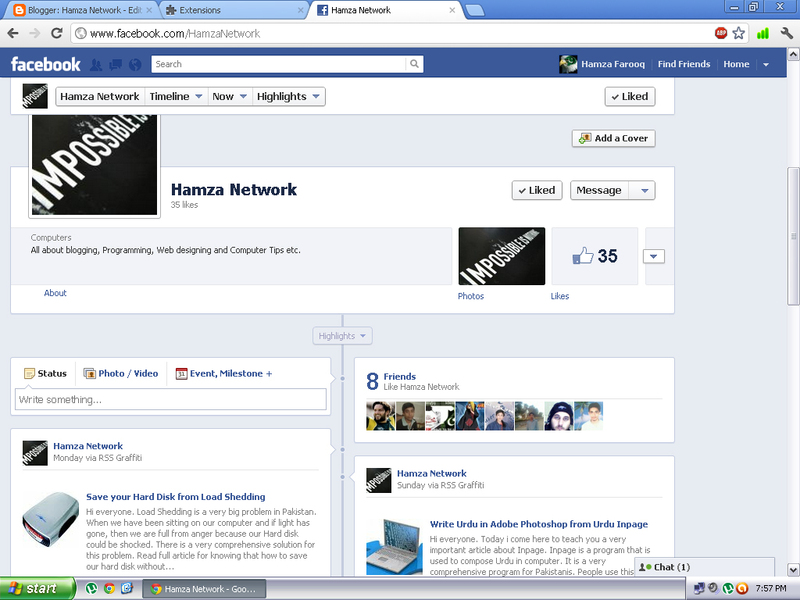 Sometimes, many people says that their facebook profile has automatically changed into Timeline. Their are lot of things we talk about Timeline. It is fact that i hate Timeline and i am the one who can say that his Timeline has automatically added to his profile. There are very very few things to remove Timeline. Facebook don,t give any option to remove Timeline. I only know that how to remove it while browsing on Google Chrome. Google Chrome gives us many facilities for such things. It has many Plugins, Extensions and Applications. All Applications are very useful and use in many problems.Below are some hints for removing Timeline. 2.Type Google Chrome Applications in search box. 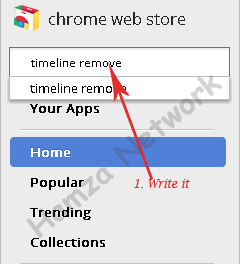 4.Write Timeline Remove in Chrome Web Store search box. 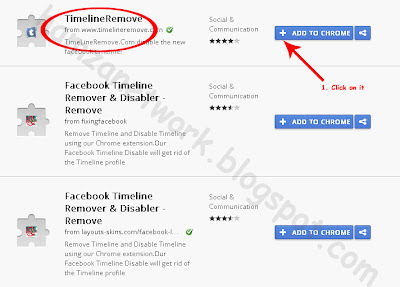 6.When you will click on Add To Chrome then the application will automatically save in Google Chrome. If you will open any facebook profile then timeline will not be visible and profile will look simple. 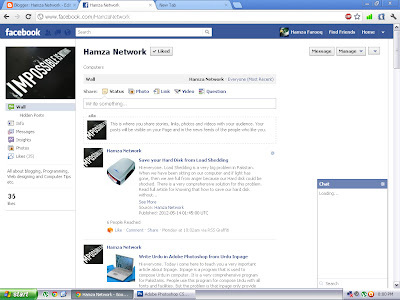 ★ Before adding Extension, Hamza Network facebook profile look like below picture. ★ After adding Extension, Hamza Network the facebook profile look like below picture. Ask in comments if you have any problem about this topic.